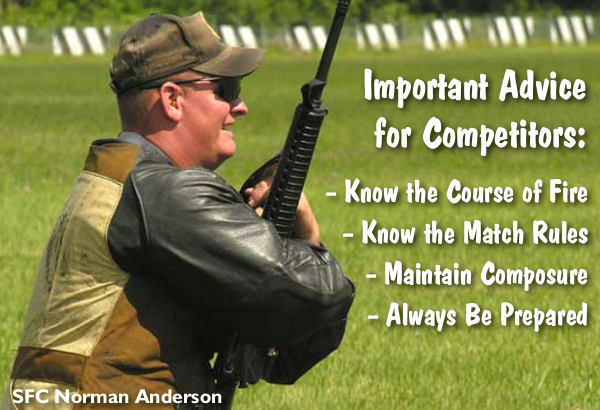 It’s a new year, and that means there are updated NRA Competition Rules. The NRA has just made available PDF files with updated 2014 rules for all the NRA competition disciplines (both rifle and pistol classes). You can download free digital versions of all NRA rifle and pistol competition rules via the NRA’s RULE BOOKS webpage. Below are links for the competition rifle classes (except muzzle-loaders). You can download the 2014 Rule Changes or complete NRA Rule Books in PDF format. 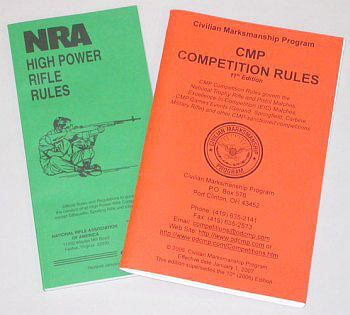 Updated changes to the rule books are effective now, as passed by the NRA Board of Directors in January 2014. Bound copies of all NRA Rule Books (except HP Sporting Rifle and Int’l Fullbore Rifle Prone) may be ordered online from the NRA Store at http://materials.nrahq.org. Share the post "New 2014 NRA Competition Rules Available — Download for Free"
The April Digital Edition of Shooting Sports USA (SSUSA) is now available on the web. Shooting Sports USA is FREE to read online, and you can subscribe for free. As always, SSUSA has match reports and a full calendar of NRA shooting events. This month’s digital edition has a “must-read” section on NRA Rule Changes for 2011. This covers multiple disciplines including High Power, Smallbore Rifle, NRA Pistol, and Action Pistol. Dot Size: Use only as much diameter as you need. Small diameter for bullseye and larger diameters for sports that require moving from target to target. Either way the field of view is unlimited if you shoot with both eyes open. 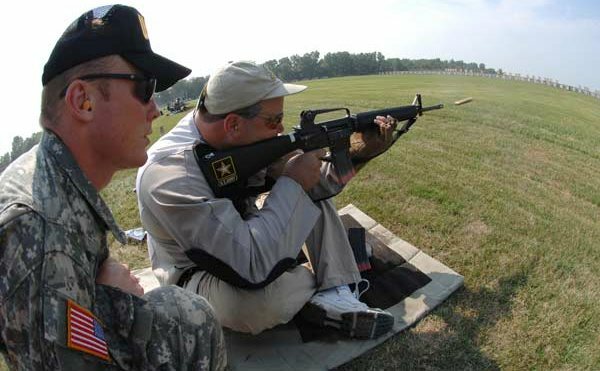 Mounting: Try to get the [red dot] sight as close to the bore as possible. Consult with your gunsmith about what type of mounting is best for your activity and pistol. Durability: Leave the dot turned on for the day’s shooting. Saving wear on the control is worth the trade-off in battery life. Most sights will run up to 500 hours on a battery. Vision: If you don’t see a round dot, ask your eye doctor if you have an uncorrected astigmatism. This is especially true if you have really good vision. The eye doctor will not normally give a prescription to correct a small astigmatism if everything else is OK.
Editor’s Note: Astigmatism IS a major problem when it comes to using red dots. Some years ago I ordered an Aimpoint for an AR. Instead of a nice, distinct round dot I saw something that looked like a little starburst with fuzzy edges. I sent the Aimpoint back, thinking it was defective. But the replacement red dot sight was the same, so I went to my optometrist. It turns out I had astigmatism. Once that was corrected with prescription shooting glasses, I could see a nice distinct round dot. Without correction, it was very difficult to use the red dot sight effectively. 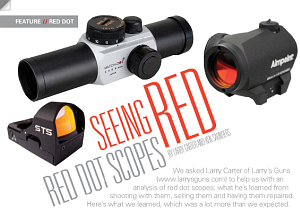 Share the post "April Edition of Shooting Sports USA Worth Reading"